Smokers are seven times more likely than nonsmokers to be fire victims. Using large, deep, non-tip ashtrays. Never leave a lit cigarette in an ashtray and never leave an ashtray on the arm of a couch or a chair. Before going to bed or going out, check between, on and under upholstery and cushions for cigarette butts that may be smoldering. Douse cigarette butts completely with water before discarding them. Simply make it a rule NEVER to smoke in bed or while lying down, especially when you are drowsy or taking medication that makes you sleepy. NEVER permit smoking around the storage or use of an oxygen tank. 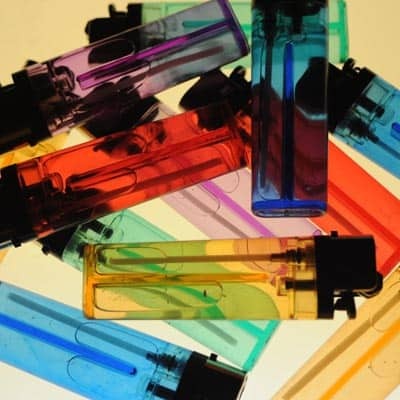 Keep matches, lighters and smoking materials out of reach of children.